Gold Club Room at the Golden Nugget is the luxury suite accomodation in the Gold Tower, located at the 16th and 17th floor. These hotel rooms are all non-smoking, which is very important to me, and have an added touch of modern luxury which includes plasma screen televisions in both the bedroomm and bath area, feather down comforters and upgraded linens, oversized deep soaking bathtubs with Raintree Showers, marble vanities with bowl sinks and elegant decor boasting rich woods and leather sofas. I like how spacious the sitting area is to have an L-shaped couch and a wooden recliner chair. I found it quite interesting as well that there was a plasma screen embedded on the bathroom mirror, though I really wonder if one does use it. – VIP Check-in and use of the VIP Lounge – Travelling Foodie Tip: The VIP Lounge and Check-in is located across from Vic and Anthony’s Steakhouse. I made a mistake of going to the main lobby thinking there would be a VIP line for check-in. Luckily, it was empty when I went for check-in. – Complimentary newspapers in your respective tower lobby from 6AM to 10AM – this is on a first come first serve basis. By the time I wake up, there was usually none left already. – No Resort Fee – Nowadays, that’s how most Las Vegas hotels get you so it’s good in a way that at least this part ends up going to a better room instead. With the Gold Club Room, you get complimentary access to the gym and spa facilities. I like how they structured this. First, The Spa is only located at The Spa Tower. So all hotel guests have to go here. There’s a floor in this tower dedicated to The Spa. When you get to the floor, the elevator opens to the check-in desk where you’ll be asked to sign-in and/or show your facility pass. They’ll ask you if this is your first time there, and they’ll tour you around if it is. 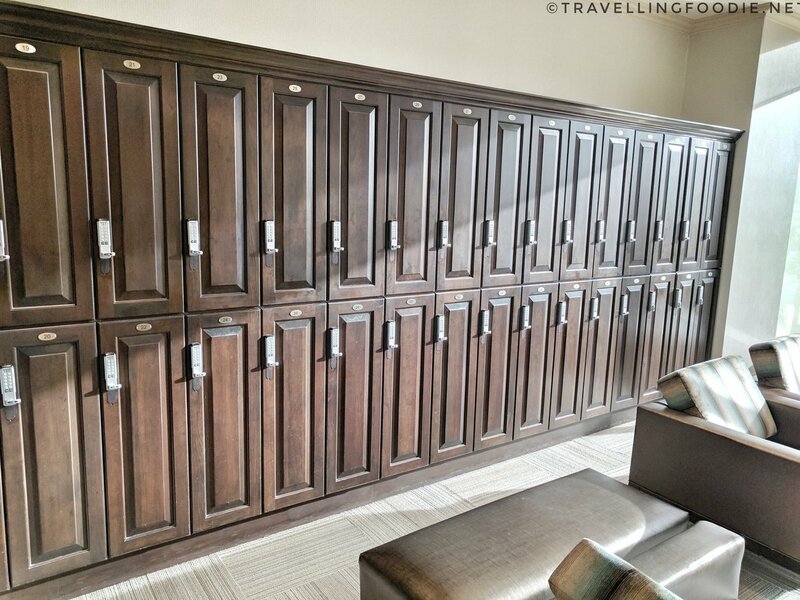 As you walk past the check-in desk, your brought to a lobby area that has the typical spa feel of dim lighting and candlelights, comfy chairs and a water and fruit station. Around the lobby are various rooms: cardio room, weights room, nail room, and the separate men and women’s spa rooms. 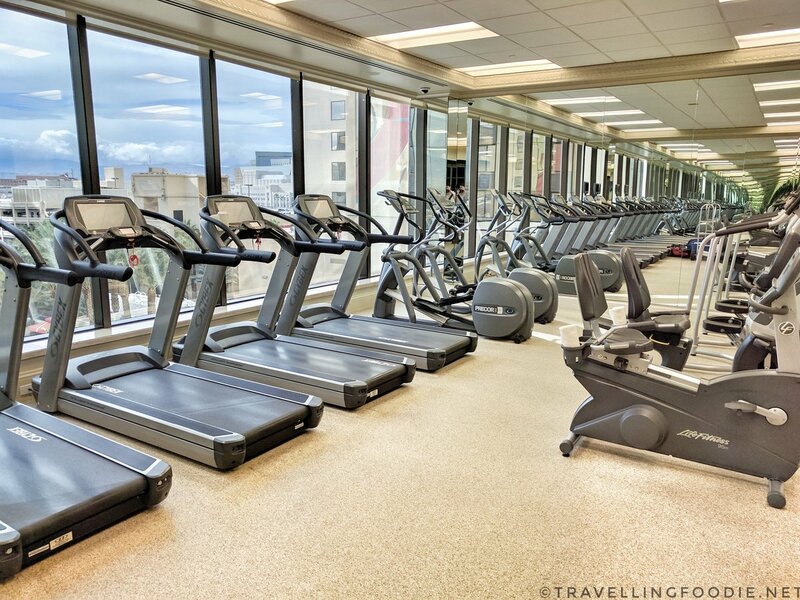 The cardio room has 5 treadmills, 2 ellipticals, 2 stairmasters and 2 bicycles. The weights room has workout machines (but majority on the upper body part), barbels, weights and workout mats. 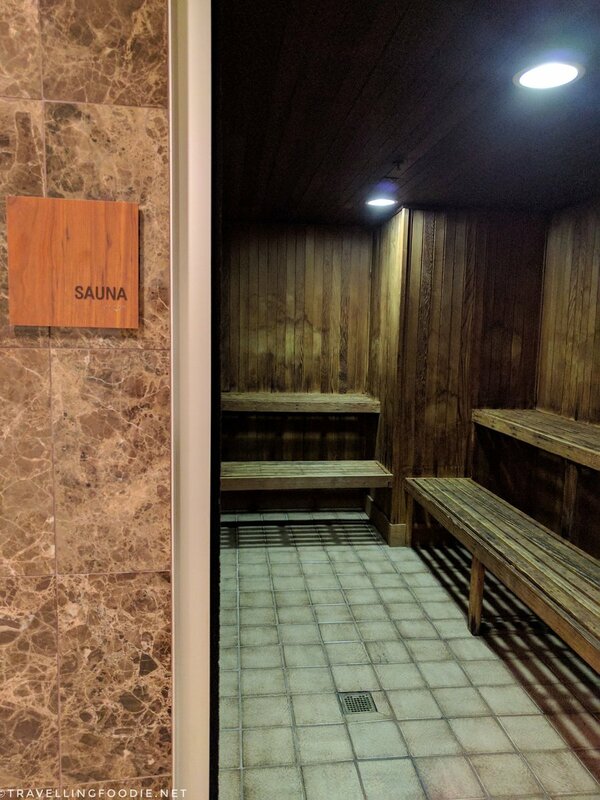 The spa room has the locker room which has a lounge area with TV, water station and snacks, jacuzzi, steam room, sauna, spa treatment rooms, and shower room complete with toiletries. During different parts of the day, the Tower Lobby is stocked with various goodies. In the morning, there will be coffee and fruits. In the afternoon, there will be fruits and snacks (so far I’ve seen pretzels only). It’s often hard to plan for toiletries these days because of the restrictions on items on a plane. If you forgot to pack a toothpaste or it ran out, stop at the Front Desk (or give them a call). They have toiletries available such a dental kit (toothbrush and toothpaste) and shaving kit (razor and cream). Where’s your favourite place to stay when visiting Las Vegas? Disclaimer: Although the accommodation was complimentary, all opinions are my own. 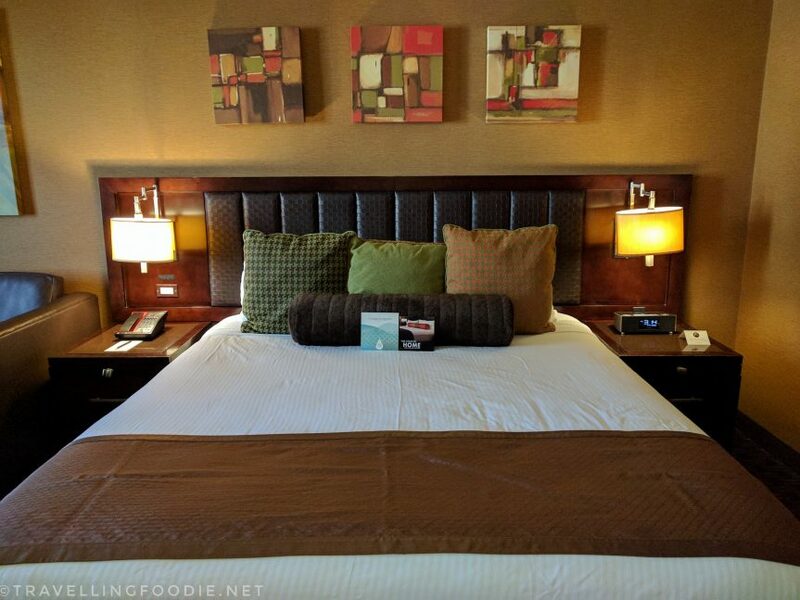 Posted on January 23, 2017 January 31, 2019 by Travelling FoodiePosted in Las Vegas, Nevada, Travel, USATagged accommodations.